Since the days of the gold rush Shasta has been a resource based economy. In the 30’s it was mining copper, then on to the lumber days from the 40’s to the 80’s, although we still have a strong lumber base today being home to Sierra Pacific industries, the second largest private lumber company in the US. In addition agriculture has continued to be a part of our resource economy as it has evolved from traditional ranching to more intensive nuts and viticulture seen today. Today our economy is driven by our regional location and the fact that we have become the regional Hub. 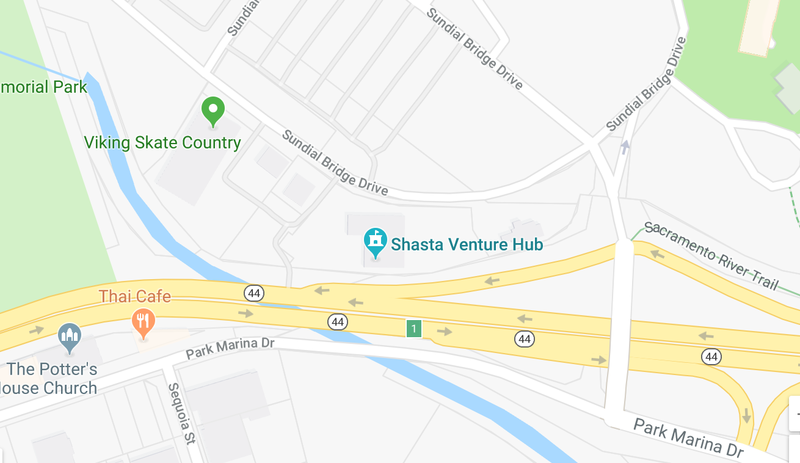 As would be expected from a Hub city, a major portion of our economy is based on service, retail and local government services to the Shasta Region, one of the largest geographic regions in California. Our resources today have attracted and developed new sectors of business. These resources include some of the cheapest electricity in the state, a skilled labor force, affordable housing, I-5 Freeway, rail and air, abundant water and affordable land with strong infrastructure. Driven by our resources we have developed into a strong area for small to medium sized manufacturing driven by our well trained labor force and competitive cost of business. Manufacturing sectors we are strong in include recreational manufacturing with Seabreacher, Jetovator, Sky Ski, Tru Rec, The Fly Shop, and Yates Gear all choosing to headquarter here, where their product testing can be done within minutes of the lab. In addition we do fabrication, CNC machining, coating, for a variety of uses and ship the majority of our production globally. Our local Community College is now offering Advanced Manufacturing to keep our workforce prepared for future manufacturing needs. Medical device is also well established here and home to AB Technologies, D&G Glassblowing and Industrial Optics. Our Tech sector is seeing rapid growth both at advanced and entrepreneurial levels. This year we were recognized as the fifth fastest growing tech region for the State of California by Progressive Policy Institute, a Washington Think Tank. Established companies and areas of work include, Ted Pella Inc. in electron microscopy, Op-Test in silicon chip development and testing, Development Group Inc. in large scale networking systems, Limelight in software development and Technisoil a polymer road paving company now distributing their product around the globe. At the same time we have seen a very active entrepreneurial tech economy developing, currently over 50 companies, which includes drone technology development, app. design companies, online gaming and crowd sourcing platforms, along with a host of other applications. This has a strong support system driven from the ‘Shasta Venture Hub’ offering incubation space, local Angel sourcing, and mentoring. Another Tech area we are well suited for is ‘Back Office Service’. With a well-educated labor force and relatively close proximity to Silicon Valley, many companies in the SV have moved their Back Office Service to this region including Axcient, N-Computing and Citelighter. We have seen our unemployment drop from 17% in 2010 to 6.5% today, one of the stronger rural regions of the State. The future looks exciting as we see a growth of globally connected companies in our economy taking advantage of our unique set of resources to build our regional economy.